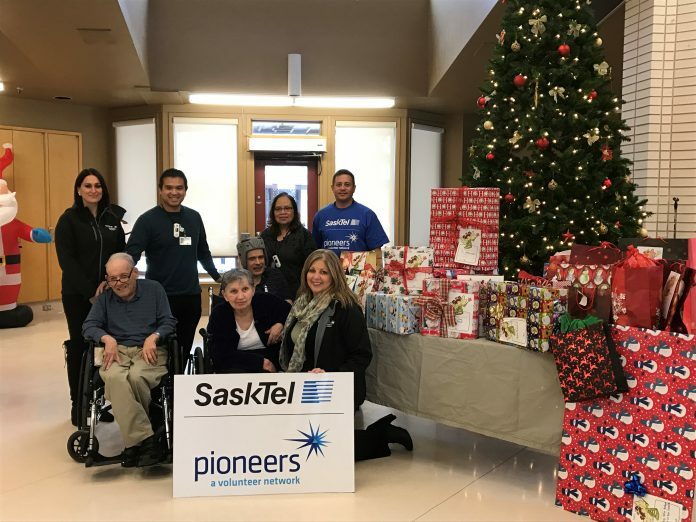 Submitted photo SaskTel Pioneer members Michelle Ostrowski, Shaua Uhlik and Mike Vancoughnett presented Herb Bassett residents with $1,300 in Christmas gifts. 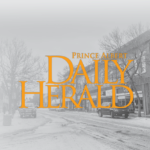 This year Prince Albert Sasktel employee organizations have donated nearly $20,000 to causes in P.A. and across the province. 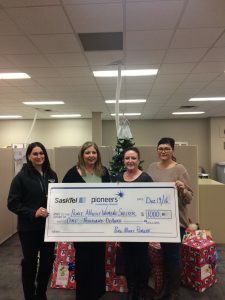 Employees at P.A.’s SaskTel office are donating $17,286 to 17 non-profit organizations through TelCare, Sasktel’s “benevolent fund.” Employees volunteer to contribute to the fund through regular deductions in payroll. The corporation then matches 50 per cent of the total donation sum. Recipients of the funds include the P.A. and District Community Service Centre, P.A. Children’s Haven, P.A. Literacy Network, Alzheimer Society of Saskatchewan, Give a Little Life, Hope’s Home, Jubilation Residential Centre, Kidney Foundation of Canada, Lac La Ronge Food Bank, Lupus SK Society, Maude Burke Elementary School, Nipawin and District Donors Choice Combined Appeal, Reynolds Central School, Royal Canadian Legion, Scleroderma Association of Saskatchewan and Shellbrook Kinsmen Club. For more on this paper, please see the Dec. 24 subscription-based print or e-edition of the Daily Herald.